When an incident such as flood affects your home, you can be left with a lot of ruined objects and debris. When you have stacks of debris in your home that you want to take out, it’s best if you call outside help. You risk anything from back sprain to tetanus; that’s why if you have excess trash you should call us and our residential debris removal. We approach every job as if we were working in the home of a loved one. Our uniformed technicians keep a tidy work area and make sure to clean up their worksite before finishing their work and all plumbing related debris will be removed before our work is completed. 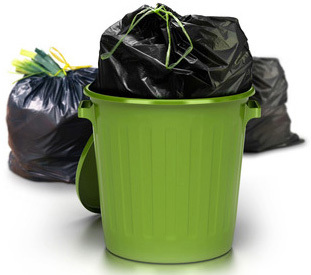 We work to be as clean as possible and concise as possible when it comes to cleaning your place of residence. If major demolition is required at your home, a job site container will be left at your property and project debris will be removed daily. We work closely with other Jacksonville companies to ensure that we live up to our safe city standards. At All Hours Emergency Plumbing we believe in doing the best we can for our clients and customers. Not only do we provide stellar service for their jobs and homes, but we also seek to leave no track behind. We yearn to keep such a clean work area that you would never even know we were there. 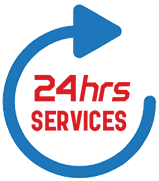 We provide 24-hour service, seven days a week because we believe in putting the customer first. We have proudly worked out of Jacksonville for several years, and it shows in our customer relations and our return customers. If you or a loved one would like to know more about our service or our business experience, feel free to give us a call at 904-574-5100!